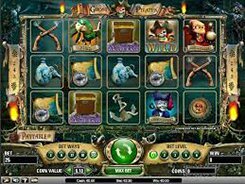 This is a NetEnt-powered video slot that is built out of 5 reels and 20 paylines. The reels are set against a flaming hot background, with the reel symbols depicting eerie monsters and not less scary weapon. 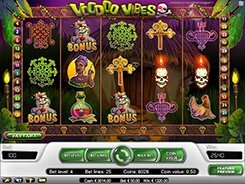 Changing a coin value and the number of coins per line, you can place a bet anywhere from $0.01 to $80 per spin. 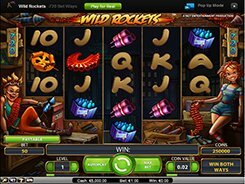 The slot features a wild, a scatter, free spins, and a bonus game. 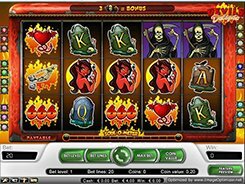 The wild depicted by a woman figure holding a fireball substitutes for other normal symbols and pays out the slot’s largest prize worth $20,000 for five of a kind. A scatter which is the Gnome pays out up to $16,000 when 2 to five of them land in any position on the reels. 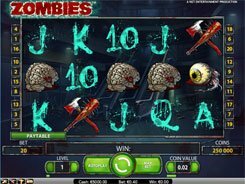 Furthermore, 3+ scatters activate 10, 20 or 30 free spins with all win amounts tripled. 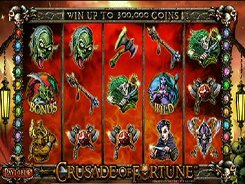 A bonus game is triggered by three or more Bonus symbols. Should it happen, you are taken to the Orc Tower and your task is to kill the orc hitting him three or four times in the head, chest or legs, with each attack bringing you a random coin award.